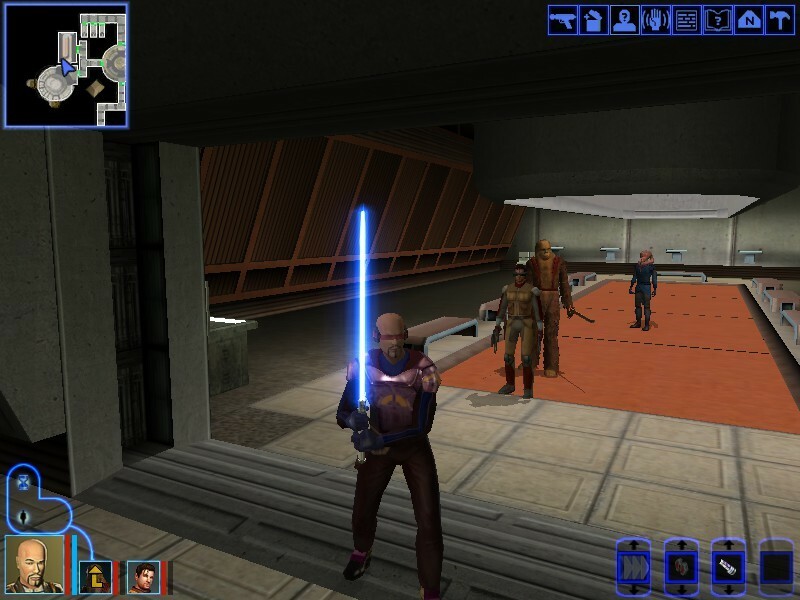 For the most part, the setting of the game reflects the one in the movies, with the Jedi and the Sith factions fighting a galactic war, the ultimate battle between good and evil. The Jedi being the magical samurai-esque protectors, soldiers of the Republic, contrasting with the Sith Empire’s dark side warriors and agents. 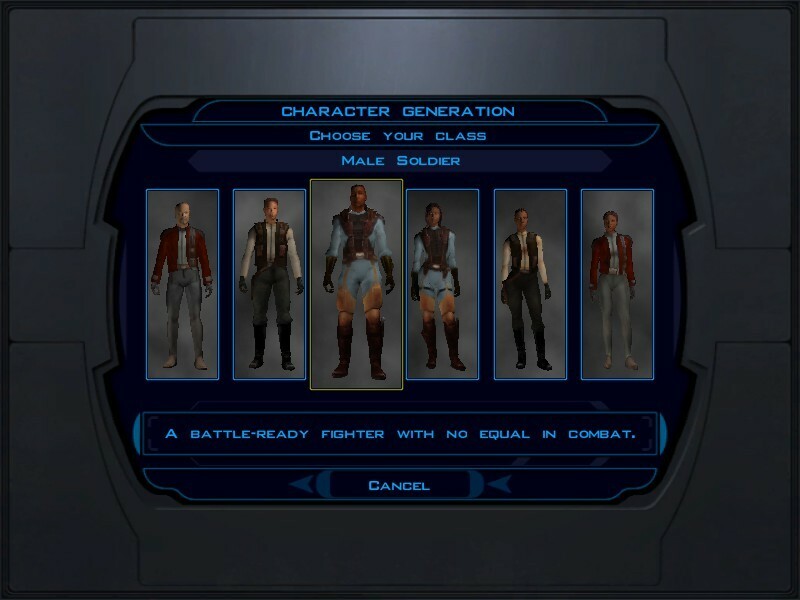 The game takes place across the galaxy where your character travels from planet to planet, some of which like Tatooine and Kashyk are familiar to diehard Star Wars fans. The game also introduces planets before, each having unique environments, two of them being Taris and Dantooine. Despite the 4,000 year gap, some people would think that the progress of time would make the game far more primitive, but the Star Wars timeline seems to always be set at the same level of technology with space-faring ships, and of course, lightsabers. 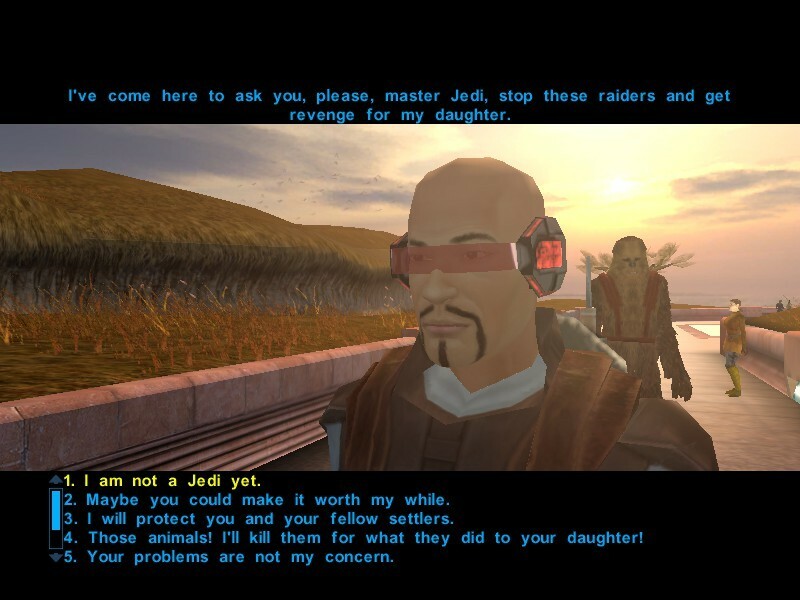 What happened was that after years without the Sith, two War hungry Jedi named Malak and Revan turned to the dark side and revived the Sith Empire. Revan, the Dark Lord of the Sith fell to the Jedi and now his apprentice Malak holds the title of Dark Lord, fighting the Republic with his army of Sith and soldiers left over after the war which turned them evil. 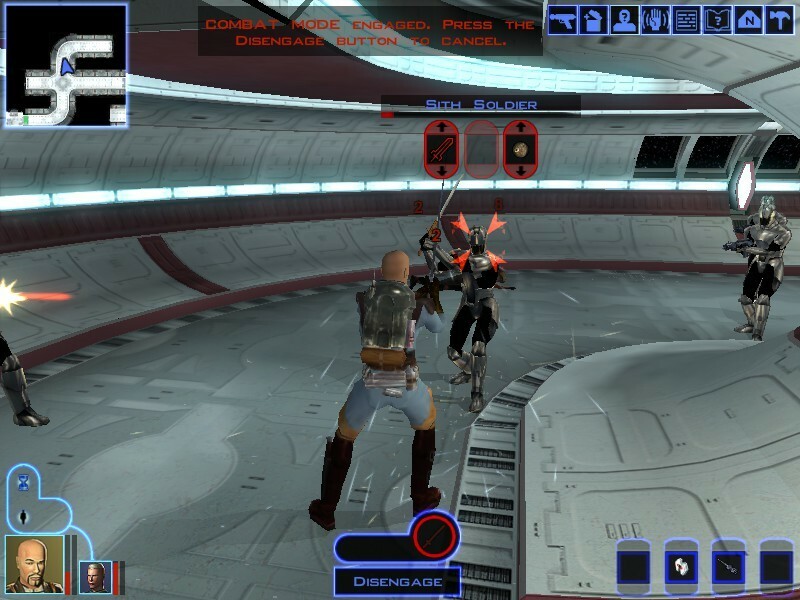 The game starts in the midst of an epic battle between the Republic and the Sith. 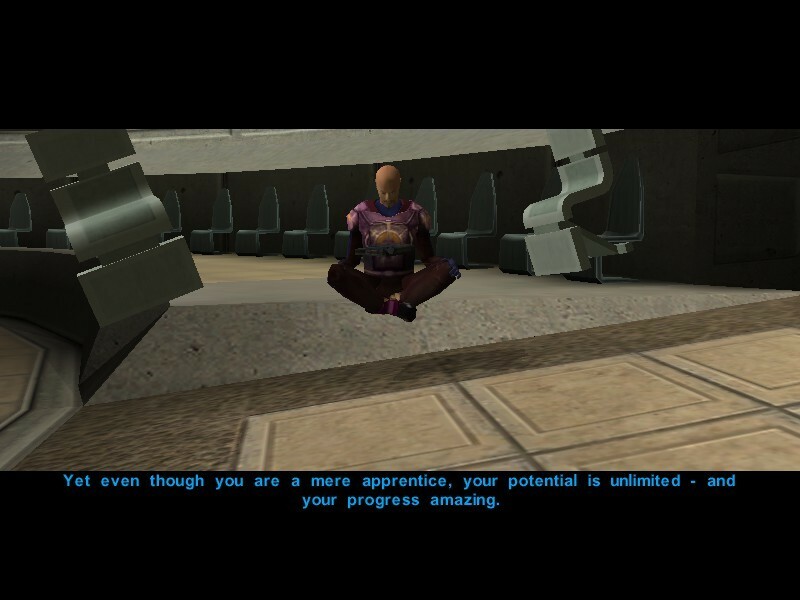 You are cast as a golden boy in the Republic army, recruited for your natural talent and skills. You need to first make it to your commanding officer before your ship goes down. In the aftermath of the battle, both you and the Republic ace pilot Carth Onasi are stranded on the Sith occupied Planet of Taris with the goal of Rescuing the Commanding Officer Bastila Shan, who it turns out is a Jedi. 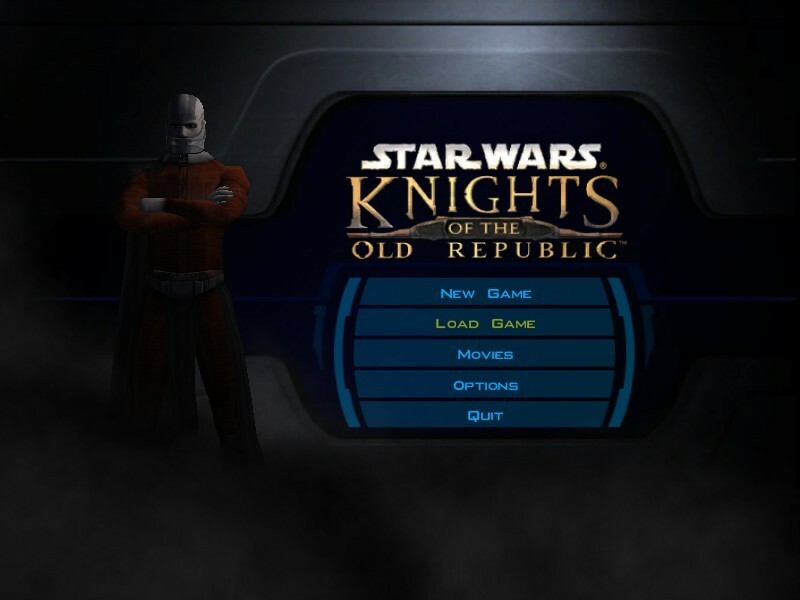 After several quests on the planet’s surface, you and your allies manage to find Bastila and escape the Sith Blockade. This game takes the Dungeons and Dragons model of both leveling up and character creation using its tutorial. KOTOR even mentions the in-system d20 you can use to determine hit chance and other dies to calculate the damage. With that, the combat in the game is turn-based but operates in real-time. If you already played Bioware’s Dragon Age titles, then you can see the influence in the combat. They are turn-based RPGs and yet feel like real-time games. You can pause combat and line up your moves to be activated in a sequence. Leveling up allows you to take both feats to improve your talents and abilities in combat as well as special skills like Computer Use and Persuasion to fight roadblocks outside of combat. You are free to manually level up your entire party or to have the game level them up for you down a pre-made path. The game is slightly outdated when it comes to customizing your avatar, as you are unable to fine-tune your character’s appearance, only picking facial features from a number of preset appearances. Your gameplay elements are a bit more malleable. You can even modify each member of your small group and assemble a skilled team able to make their way across the galaxy. Sadly the amount of customization available is rather limited and don’t stretch much further than that, especially when they all look like unshaded polygons. Remember the Nintendo 64 aesthetics? If you’d like to know more about your character attributes and how to optimize them, click here. The combat has a unique cool blend of turn based and real time that I’ve never seen replicated. While the music has nothing that sets it apart, the orchestral score makes it feel authentic. The graphics hold up remarkably well for a game made in the early 2000’s. The Star Wars theme is the exact reason why people love and remember this game as the classic worth playing through at least once.